Would you like to empower all our organizations in a given month with free or discounted tools? This sponsorship opportunity not only gives visibility to dozens of community partners and hundreds of volunteers, it actually helps our organizations do more with less money! 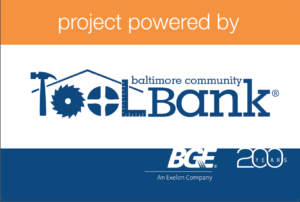 For sponsorship details, contact our office directly at (410) 244-5565 or email Noah Smock at noah.smock@toolbank.org.